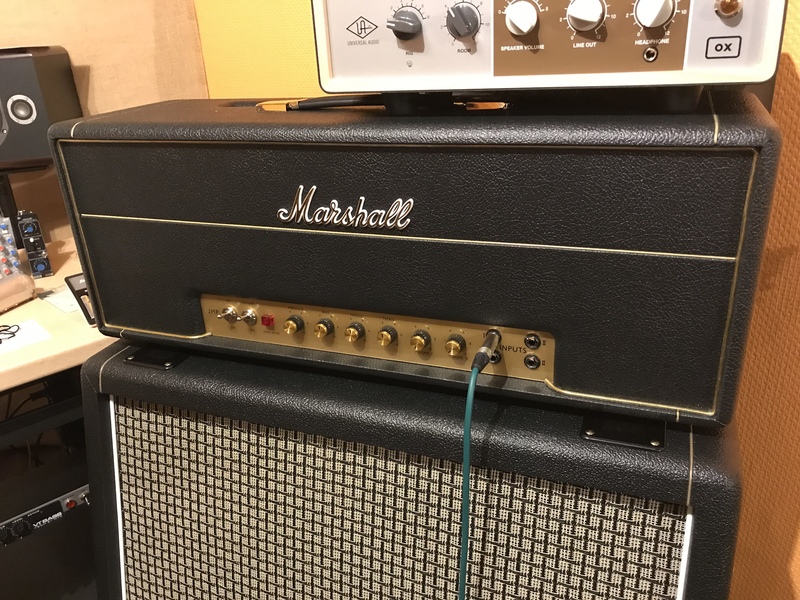 1959HW, Tube Guitar Amp Head from Marshall in the Handwired series. 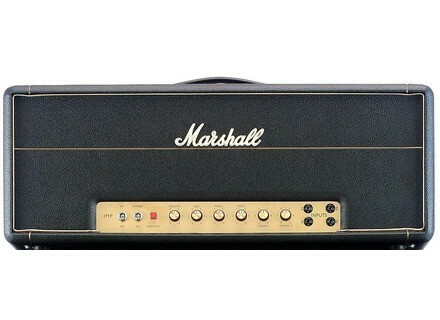 This is a fantastic amplifier from marshal application. It is a hard-working workforce amplifier that will give you a great clean plexi type Marshall tone as well as a good solid tube overdriven tone. 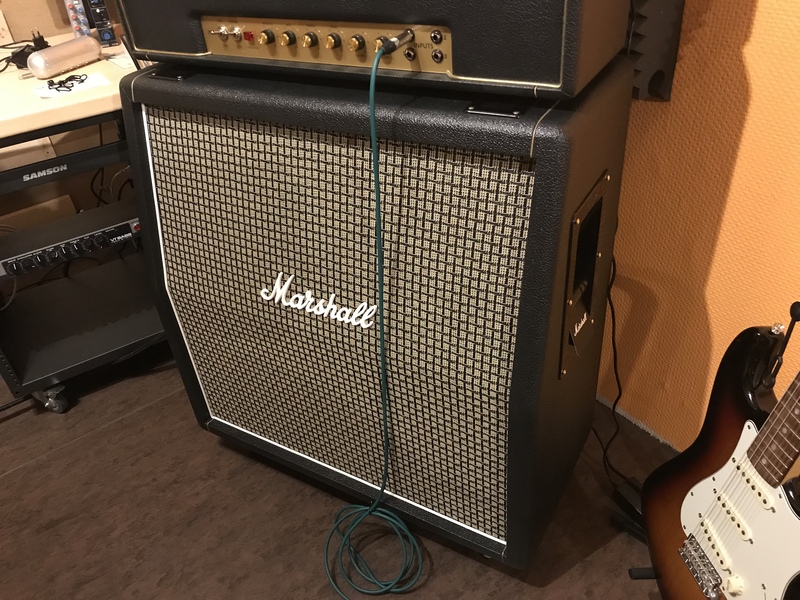 This is the guitar amp that many hard rock players will grab in need of their hard rock tones as well as a good amplifier to get modified into some more modern addresses Marshall style tones. Speaker Configuration 4 x 12"
The tone of this amplifier is so Marshall to the utmost degree. It has that classic Marshall sound that you've ever heard and will can retain all that great Marshall goodness even if it's modified. This amplifier is a classic amplifier that thousands upon thousands of musicians of reach for to get their great guitar rock tones. These amplifiers work best with the greenback style speaker in at 4x12 cabinets in my opinion. They sound good in at 2x12 cabinet as well. The greenback speaker is perfect to my ears because I've grown up listening to greenback speaker playing guitar but the H 30 speakers are another great speaker that matches well with this amplifier. Use a jumper cable to connect the two channels to get some of that dark tones from the darker channel and you can have a great punchy driving Marshall tone. These amplifiers though are discontinued are pretty easy to find on the used market. Marshall saturated the market with these amplifiers back in the day and they're pretty easy to come by. I've seen them for as low as $1200 in this bad down time economy. I had a recommend this amplifier to anyone looking for a classic martial sound and needs a good workforce amplifier to do that with. ultra ultra puissant.Il need to insert a power reducer (Marshall power brake, THD Hot Plate, Valve aténuateur house music etc etc) between the head and cabinet, this amp is otherwise unusable. No master volume, reverb nide, or loop effet.C is to say anything that eats the sound. with a power attenuator and all the settings to 12 hours, Gibson bottom, the sound is fantastique.L amp responds perfectly to the way you attack the strings If we lower the volume the sound 's so clear we lower the tone sound swells. Not a copy or more rather less successful, is the sound! The effects pedals and wha wha sound like ever! None sounded properly, either because it is saturated and crashes, wha wha pedals articulate wrong notes, and if we lower the saturation, the notes' s put out quickly, you lose a lot of sustain and the game becomes difficult. The hand wired marshall 1959 did not have a master volume and all stages of preamp and amp are working normally, there is no curb artificially inflate or just the sound. This amp is expensive and inutisable without power attenuator, but it has the sound! Yes I do it again this choix.d elsewhere when you buy a Les Paul should be supplied with.